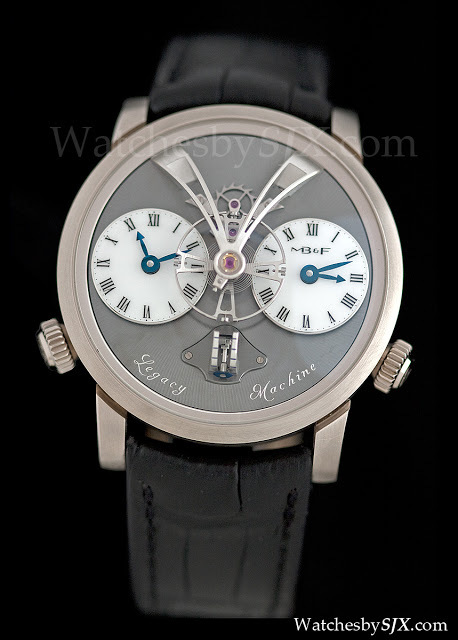 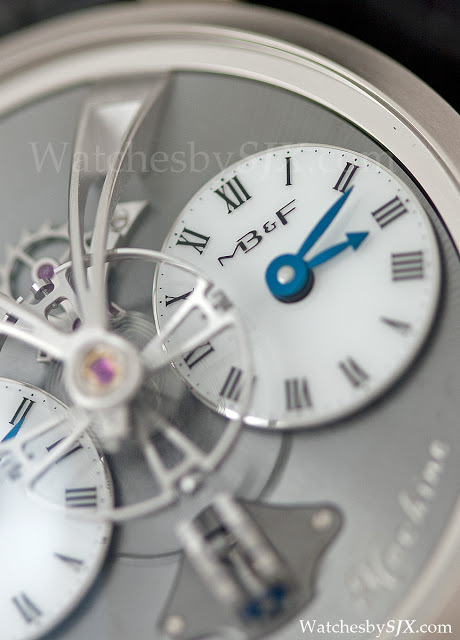 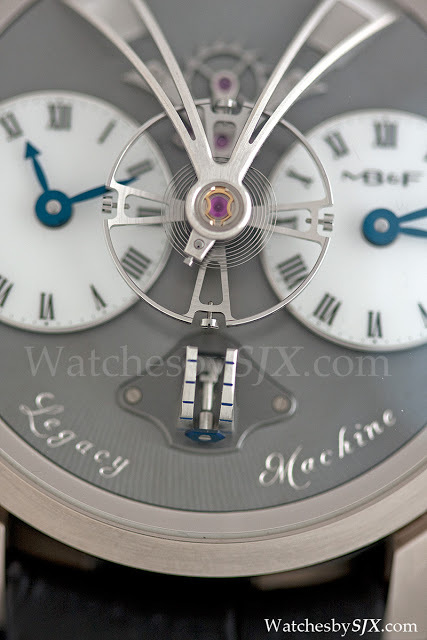 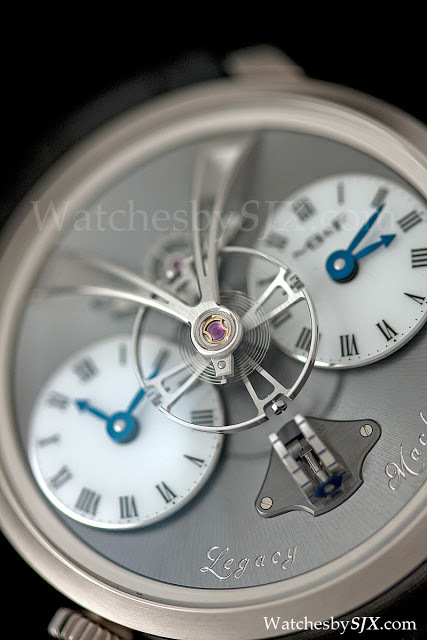 MB&F unveiled the Legacy Machine 1 yesterday and this blog was the first to present close-up photographs of the actual LM1, rather than just stock images. 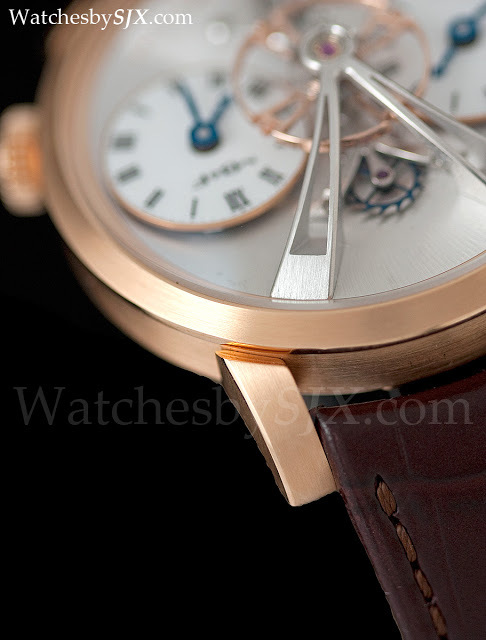 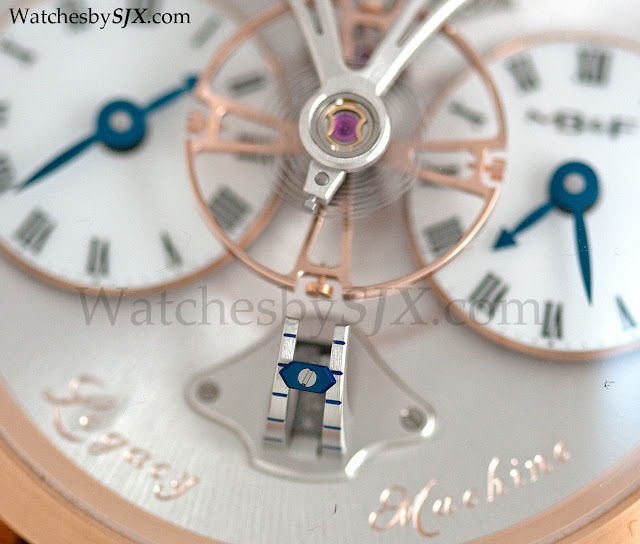 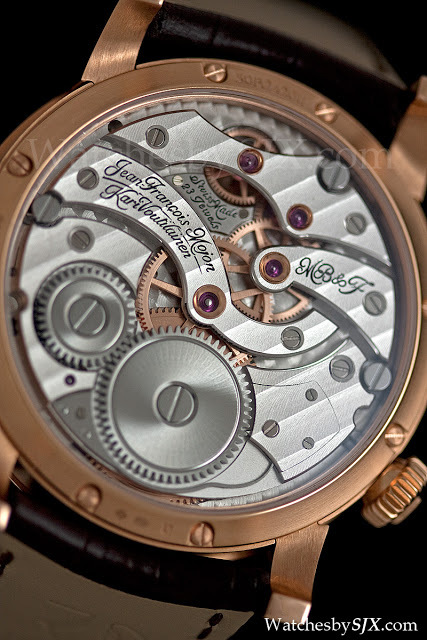 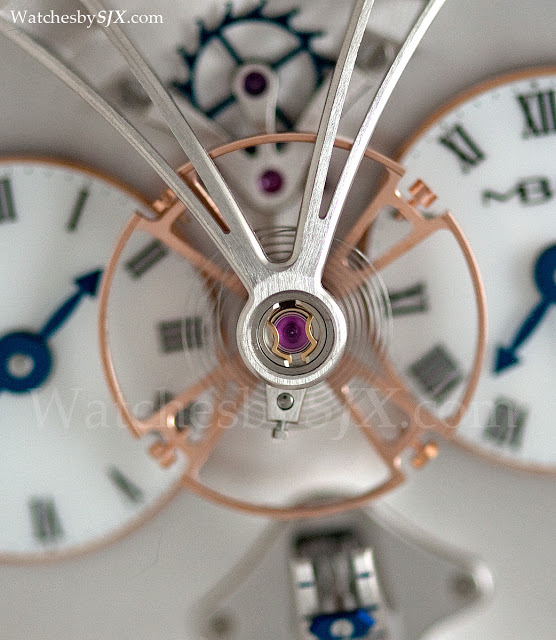 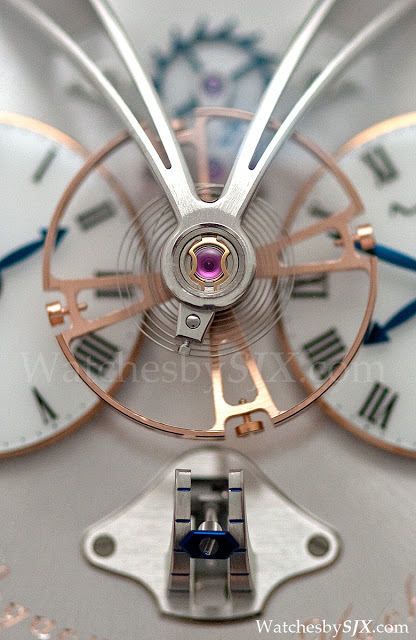 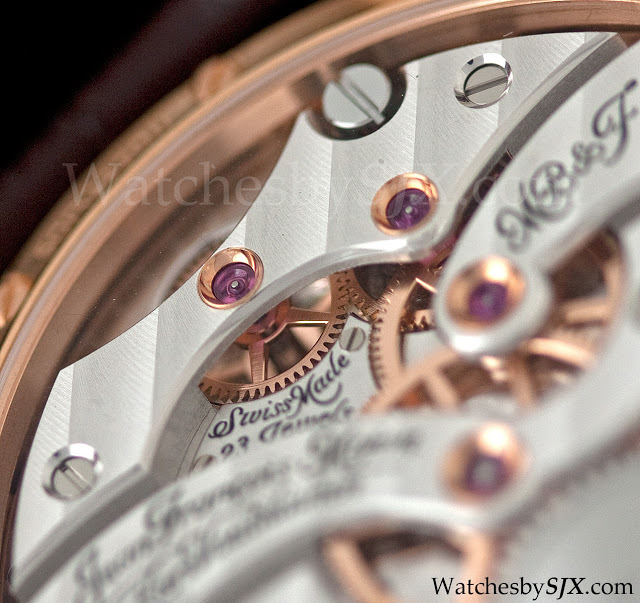 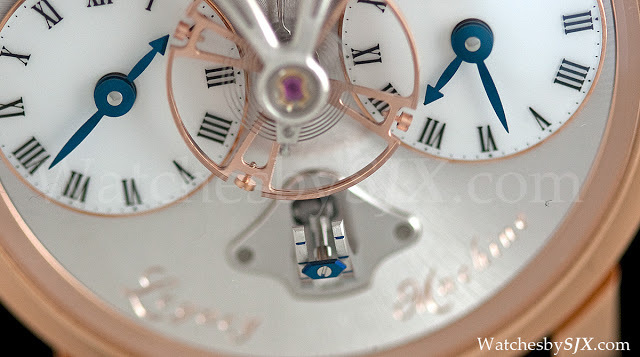 Here are more photos of the LM1 that detail the quirkily attractive dial and wonderful movement finishing. 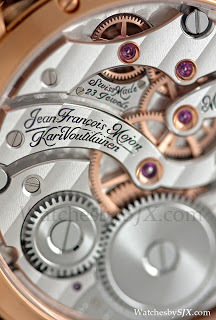 Created by Voutilainen and Mojon, but finished by specialist finishing firm CL Rochat, the movement is gorgeously finished. 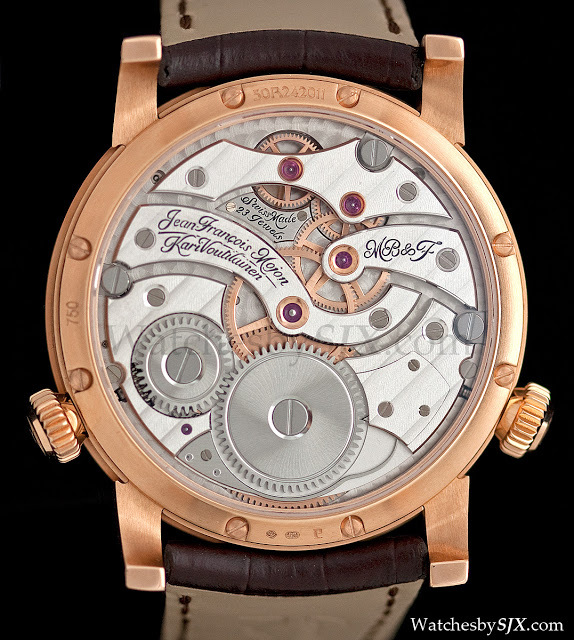 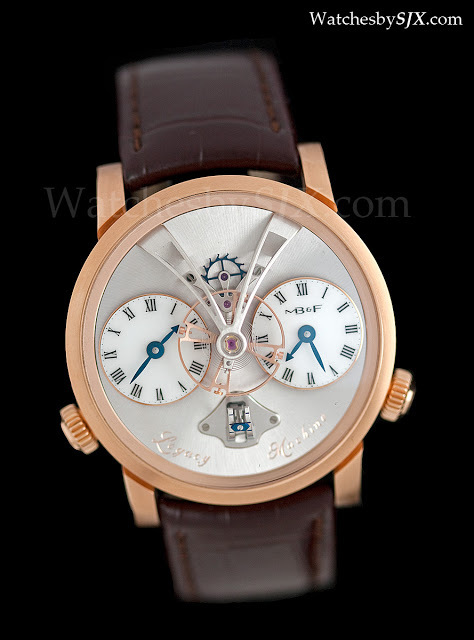 Though it is obviously a 21st century creation, it is styled in the manner of vintage pocket watches, as was Max’s goal. 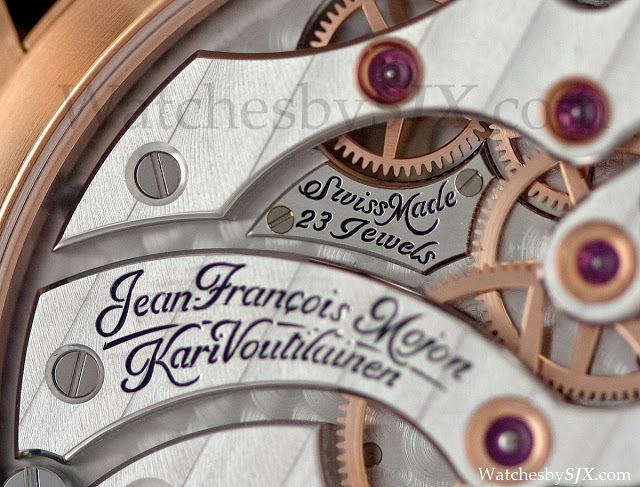 A more detailed opinion of the movement can be found in yesterday’s article. 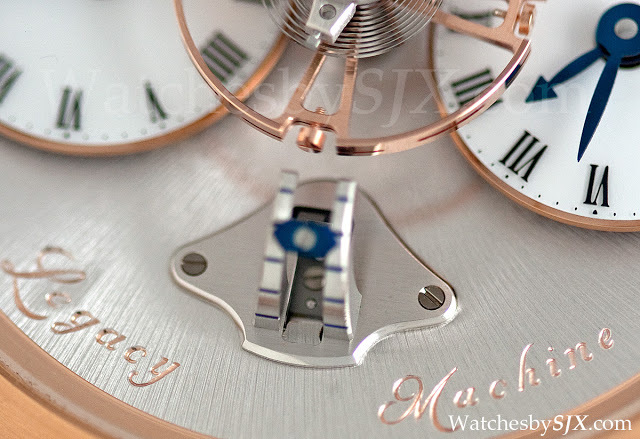 Fine finishing: superlative hand finishing throughout respecting 19th century style; internal bevel angles highlighting hand craft; polished bevels; Geneva waves; hand-made engravings This clip captures the domed crystal of the watch and enormous balance wheel nicely.